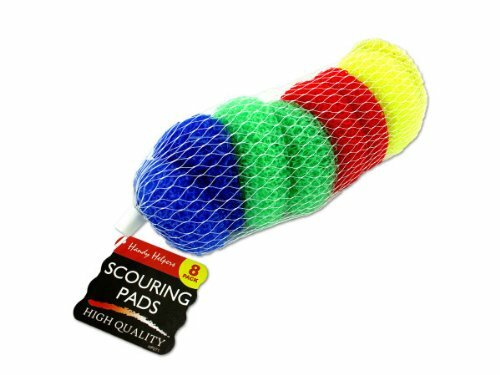 Case of: 96Colors: yellow, green, blue, red, orange, pinkMaterials: plasticA kitchen essential, this 8-piece Colored Scouring Pads Set is made for cleaning up tough messes. The nylon material is durable enough to handle the most stubborn stains while being safe enough to use on non-stick surfaces. They measure approximately 2 1/2" in diameter. Comes in assorted colors. Comes packaged in a net bag with a hang tag. View More In Scouring Pads & Sticks. If you have any questions about this product by Handy Helpers, contact us by completing and submitting the form below. If you are looking for a specif part number, please include it with your message.